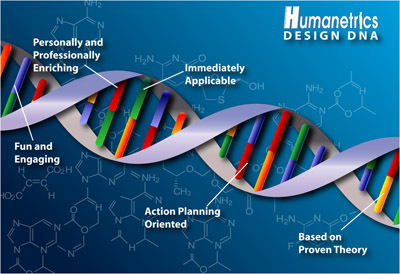 Personally and Professionally Enriching – Humanetrics teaches participants how to apply what they learn in their personal and professional lives. This investment in the individual not only makes employees more effective at home but also speeds up the individuals’ mastery of new skills. Immediately Applicable – Our 80/20 rule ensures that theories and book knowledge are kept to 20% of the program time while 80% will be focused on applying and practicing new skills that can be implemented the same day. Fun and Engaging – Effective learning requires individuals to open up and be willing to change. We use a variety of multi-media, experiential exercises, and role practice to fully engage participants in the learning experience. From one of a kind icebreakers and exercises to our fully experiential simulations, Humanetrics makes learning fun and rewarding. Action Planning Oriented – Our programs build in time for individual reflection and action planning to help insure that learning and improvement occurs. Based on Proven Theory – The models and strategies in our programs are based on the most current research and best practices. The majority of our programs use assessments to measure baseline effectiveness and as a springboard to learning.